Click on the image for 60% size version. 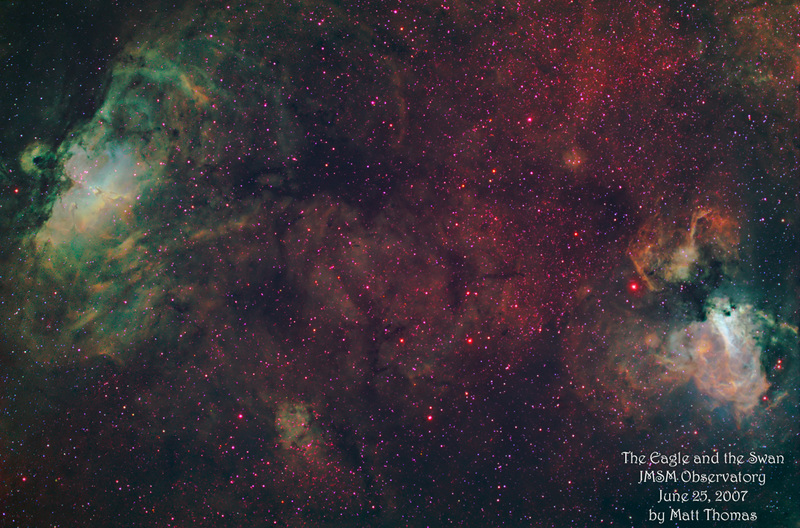 Processing: Taken in MaxIM/DL v4 using CCD Commander. Reduced, aligned, combined sub-exposures, and RGB combine in CCDStack. Color balancing, contrast adjustment, Minimum filter to [SII] channel to reduce the red stars, Shadows/Highlights, saturation adjustment, and Noise Ninja in Photoshop.